I performed a self-install of a Dangerous Things xEM implant on Monday. While I am no professional, I do have quite a bit of experience with piercing. The install itself went smoothly, but now that the swelling has gone down I am worried it might be too deep. 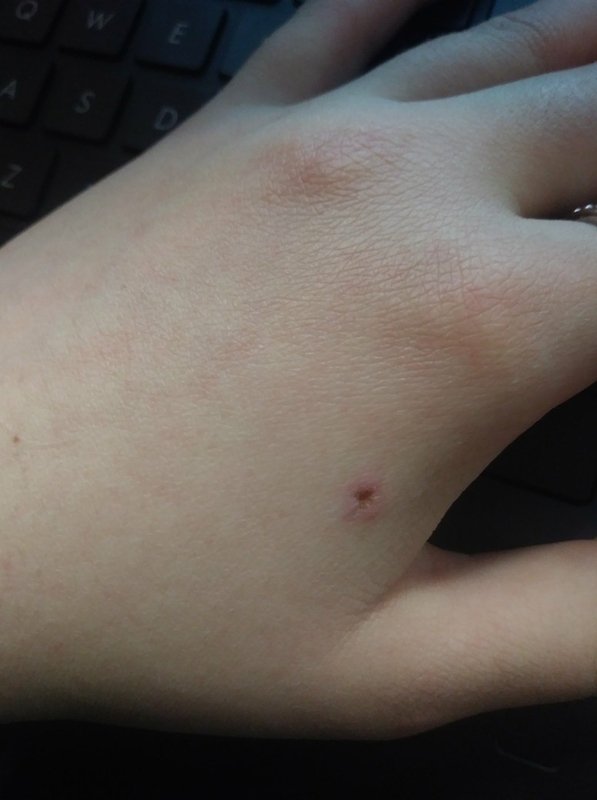 I had used a clamp to tent the skin to try to make sure it settled in the fascia, but I can't see it in my hand at all, nor does it feel like it is directly under the dermis. From what I've seen of other installs, you should generally be able to manipulate it into being visible. Could it still be slightly swollen(it doesn't look so compared to my other hand), or is it almost definitely in muscle tissue? There's no pain or movement issues, even when doing strenuous things with it. I haven't gotten to test it yet(still need a 12v power supply/battery), but I know that if it is too deep, it could affect read capabilities. There's not much to see, to be honest. The question of "too deep" is relative. If it is interfering with muscles or tendons, then it's too deep. If it can't be easily read by a reader places right above the incision site, then it's too deep. If it's readable, your hand isn't restricted or painful, then don't worry about it not being visible. Personally I would install it slightly higher up to increase readability and reduce effort/pain in uninstall. I'll have access to a power supply tomorrow so I'll test it then. If it does have reading issues, is there a way to encourage it to migrate upwards? Or would a fresh install be the only solution? It's almost certainly at least partially in muscle tissue, but it's not interfering with anything and isn't painful at all. Only my xM1+ is visible - my other ones are not visible - I can feel them when I touch them. I needn't have worried. I was pretty anxious to test it out, so I made the jankiest 12v battery I've ever seen(2 AA's taped to a 9v). I got amazing read range - almost an inch and a half away, which is better than I ever would have expected.